As a market leader in level detectionwith the largest selection of agency approved level switch technologies, the K-TEK level products line has the proven technology to provide solutions for the most difficult liquids and solids level applications. 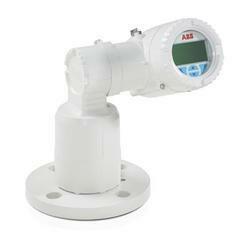 ABB's Thermal Dispersion products can be used for flow, level or temperature detection. One switch can be field configured to detect one of these three process conditions. 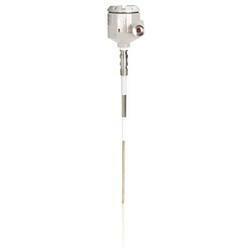 Thermal Dispersion level switches are extremely rugged and versatile and have high pressure and temperature capabilities. These switches can be calibrated for level, air/foam, foam and solid/liquid interface or flow applications. ABB's RF Capacitance level switches feature one-step external calibration, immunity to material build-up, and a wide selection of probes for even the most challenging applications from low dielectric bulk solids to sticky slurries. ABB offers the standard KM26 Magnetic Level Gauge with a chamber of virtually any non-magnetic material, extruded process connections, a custom engineered float and all accessories with 316 stainless steel construction. The ABB MagWave dual chamber redundant level system has a proven record of improving feedwater heater reliability in power plants around the world. The MagWave combines a highly visible magnetic level indicator with the precise level measurement of a guided wave radar transmitter. 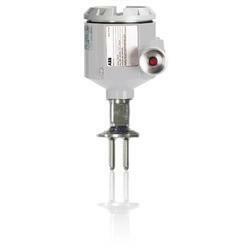 Redundant level control can be achieved by adding a magnetostrictive transmitter or switch to the float chamber. The guided wave radar's self-monitoring capability continually checks for any faults that could cause device failures or false indications. The device features a graphic display incorporated into an all digital electronics module. Using this new format ABB has been able to add waveform screens to the modular electronics along with easy to follow multiple choice setup menus. These menus can be changed to many different languages for easy commissioning throughout the world. Pulses of microwave energy are directed to the product surface using a rigid rod or flexible cable type probe. This assembly has no moving parts and no loss of energy due to beam divergence. ABB is a leading manufacturer of state-of-the-art level and volume instrumentation for liquid and bulk solids detection. The family of non-contact laser volume and level products, LLT100, LM80, LM200 and VM3D, provide solutions for accurate measurement in the following applications inventory in bunkers, blending hoppers, reactor vessels, level control, volumetric measurement, and various dry bulk solids and liquids in silos. These maintenance-free products meet the demands of process automation and inventory management in several industries such as mining, aggregates, oil and gas, chemicals, food and beverages, pharma, water and waste water. The measuring laser uses invisible, infrared light. There is a second, visible aiming laser to help with the alignment of the measuring laser. The laser beams have very little divergence so that accurate targeting is easy even in silos or vessels that have internal structures. Ultrasonic Level Measurement features variable GAP technology for stable readings in the most challenging environments. The KSONIK is the only ultrasonic level transmitter that uses dynamic GAP technology in order to locate the correct echo. The KSONIK utilizes the minimum amount of GAP (Gain, Amplitude, and Power) at every possible distance within the measurement range. This simply means that we reduce the power to give you the most accurate reading with a beam angle of only 3 degrees, and then enough power to push through the most dusty environments. The onboard microprocessor simultaneously fires an electronic pulse and starts a timer. The transducer converts this electronic pulse to an acoustic pulse, which is directed toward the surface of the material being measured. When the acoustic pulse contacts the surface of the material, energy is reflected back to the transducer, which converts the energy back to an electronic pulse. This pulse is sent back to the microprocessor, which stops the timer and determines the timeofflight of the signal. By combining the speed of sound through air and the timeofflight of the pulse, the microprocessor accurately determines the level of the product. Powerful software removes false echoes from the signal and electronic filters remove ambient noise. Temperature changes the speed of sound, making accurate measurement more challenging. All LST instruments measure and compensate for temperature changes in the background, ensuring accurate measurement over a wide range of ambient conditions. 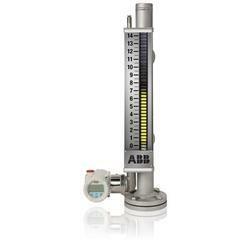 Looking for ABB Level ?